This Palace was built in 1924, on the initiative of Prince Louis II and inaugurated on May 1st 1930. 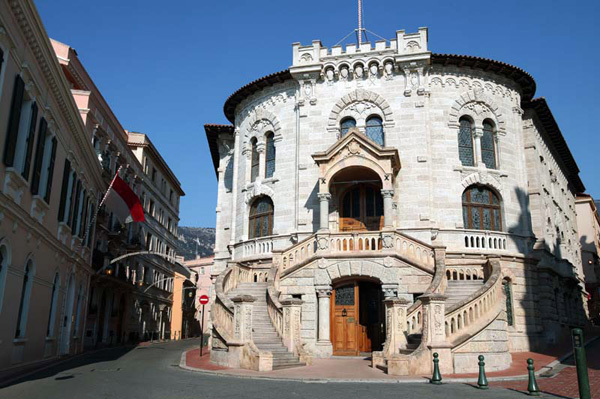 It is built out of sea tuff, a grey and porous stone, which was also used for Monaco’s ramparts. This stone contains many small pebbles, and sometimes mollusc shells.The bust of the Sovereign Honoré II, dated 1568, appears on one of the Palace façades.